The lung or pulmonary system is the essential respiration organ in all air-breathing animals. 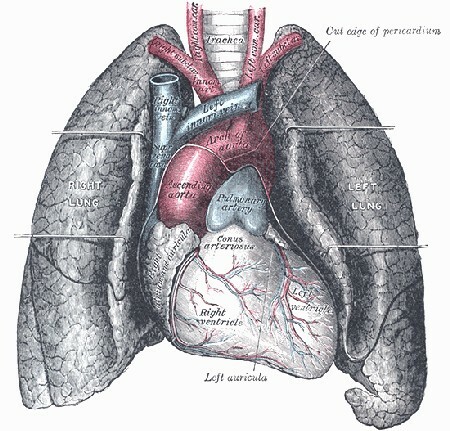 In mammals and the more complex life forms, the two lungs are located in the chest on either side of the heart. Their principal function is to transport oxygen from the atmosphere into the bloodstream, and to release carbon dioxide from the bloodstream into the atmosphere.